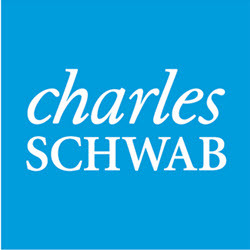 Schwab is an online broker available for both small and big investors. There are three platforms available (Schwab.com, Streetsmart.com, and Streetsmart Pro) and which one that is best for you will largely depend on your level or trading experience. Schwab is a full-service brokerage firm rather than a streamlined low-cost one. This doesn’t mean that Schwab is expensive, just that there are cheaper alternatives available if you are okay with just a very basic brokerage service. Based on Schwab’s pricing profile, we believe that a majority of their clients have $100,000+ accounts. Schwab aim to be accessible even for novice and intermediate traders and they have a lot of introduction material on their site for anyone who wants to get started. There is also an easy to use paper trading module where you can try new trades and back test strategies. For a beginner, a full-service brokerage firm like Schwab is often easier to use than the cheaper alternatives that require more knowledge about trading. If you are a more experienced trader, and have access to external charting and quoting tools, you’ll might find it less necessary to pay for the full-service offered by Schwab. Schwab’s chief competitor is Fidelity and they both pride themselves on their super fast order execution. Fidelity promises to execute orders within one second, and Schwab guarantees that they will always be at least as good as Fidelity. Commission and fees are based on either volume or account values. Be aware that add-on services come with their own fees. At first glance, it can be difficult to get a good grasp of the total costs involved with using Schwab. If you have more than $1 million in your account and make more than 120 trades per annum, your trading costs with Schwab will actually be rather similar to what you would pay with a low-cost brokerage firm. For anyone with less money and fewer trades, a low-cost brokerage firm would be more affordable, although probably a bit more difficult to utilize. At Schwab, that person would pay approximately $13 for an internet trade, but an extra fee of $0.15 PER SHARE is added for trades exceeding 1,000 shares. Using the voice system instead of internet will cost an additional fee, and utilizing one of the human brokers costs $25. Schwab offers excellent customer support at all levels. It doesn’t matter if you are a big fish or a small potato in the trading world. Phone support and online support is available around the clock. For novices, the customer support’s willingness to help you with paperwork can be a lifesaver.